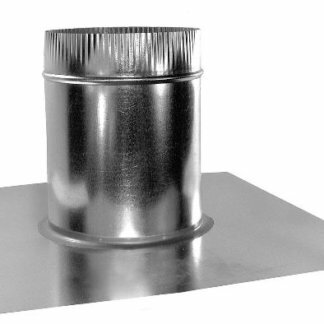 The FAMCO roof vent bases are used with the Globe Vent or any other round based roof vents. They are available in a flat base (FB) for flat roofs with no pitch or slope, a saddle base (SB) for installing on the ridge or peak of the roof, and the pitched base (PB) for pitched roofs. When ordering the saddle base and pitched based models, be sure to select the correct pitch/slope option for the specific roof to be installed on. 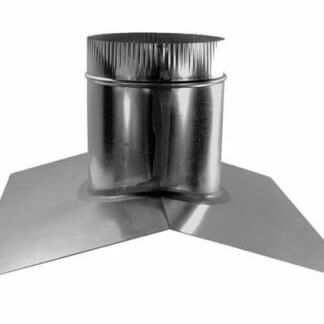 The roof vent bases all feature a large flange for easy installation and weather proof seams. An important aspect of prolonging the longevity of your roof is to have proper roof vents installed. Not only will this allow space in the attic to properly breathe and not to tolerate condensation build-up, but they will prolong the aging process within the insulation layer before your outer roofing materials. 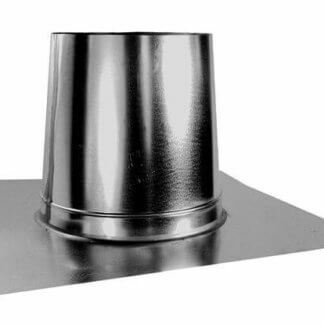 The FAMCO roof vent bases are used with the Globe Vent or any other round based roof vents for venting applications. They are available in a flat base (FB) for flat roofs with no pitch or slope, a saddle base (SB) for installing on the ridge or peak of the roof, and the pitched base (PB) for pitched roofs. When ordering the saddle base and pitched based models, be sure to select the correct pitch/slope option for the specific roof to be installed on. The roof vent bases all feature a large flange for easy installation and weather proof seams to seal water out. If you opt for a cheap, plastic vent, chances are it’ll need to be replaced in time due to brittle and cracking causing your roof to be prone to water leaks. Periodic maintenance needs to be performed to ensure there are no cracks or leaks in the vent. Make sure you have the appropriate number of intake and exhaust vents as part of your roof design. These amounts should be equal. One can calculate this based on the slope of the roof (square footage of attic floor compared to the ‘net free area’ (NFA). Vents are typically rated by their NFA, then you can determine how many you’ll need. It’s better to error on the side of too many vents rather than questioning if you have enough, which will cause problems later on down the road. This is why proper vents are imperative in the sustainability and longevity of your roof. Roof vents prevent moisture build up in the winter months and remove warm air in the summertime. Often times, you will find intake vents closer to the base of the roof while exhaust vents are higher up towards the peak. This takes full advantage of the air circulations’ natural path. 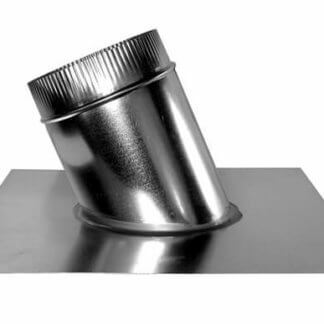 We showcase our dryer vents in galvanized steel in a variety of sizes, ideal for durability and strength to fit your roofing needs. Pending on the pitch of your roof, we can fully optimize airflow, while providing such great attention to detail. We always keep in mind the ease of installation coupled with the longevity and appearance of our products. You can shop with ease and peace of mind knowing that FAMCO manufactures our products in the United Stated and comes with a 1-year warranty against product defects and workmanship. You can always contact us anytime if you have questions about a product by phone or email. We look forward to providing you with the best quality HVAC and roofing solutions.